Senator Amy Klobuchar (D-MN) speaks at Black Hawk County Democrats’ Waterloo office. Minnesota’s senior U.S. Senator Amy Klobuchar, a possible 2020 presidential candidate, campaigned this weekend with the three Iowa Democrats who’re challenging Iowa’s three Iowa Republican congressmen. Early Saturday afternoon Klobuchar was in Waterloo, speaking on behalf of Democrat Abby Finkenaur, who is challenging Republican incumbent Rod Blum in the first congressional district. 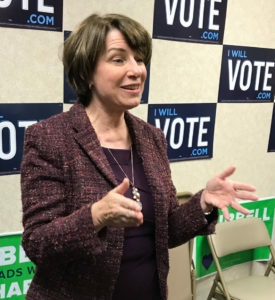 Klobuchar also campaigned Saturday morning with Cindy Axne, the Democrat who’s challenging Republican Congressman David Young in Iowa’s third district. Klobuchar is arguing the Midwest was ignored by the national Democratic Party in 2016 and 2018 is a chance for redemption. 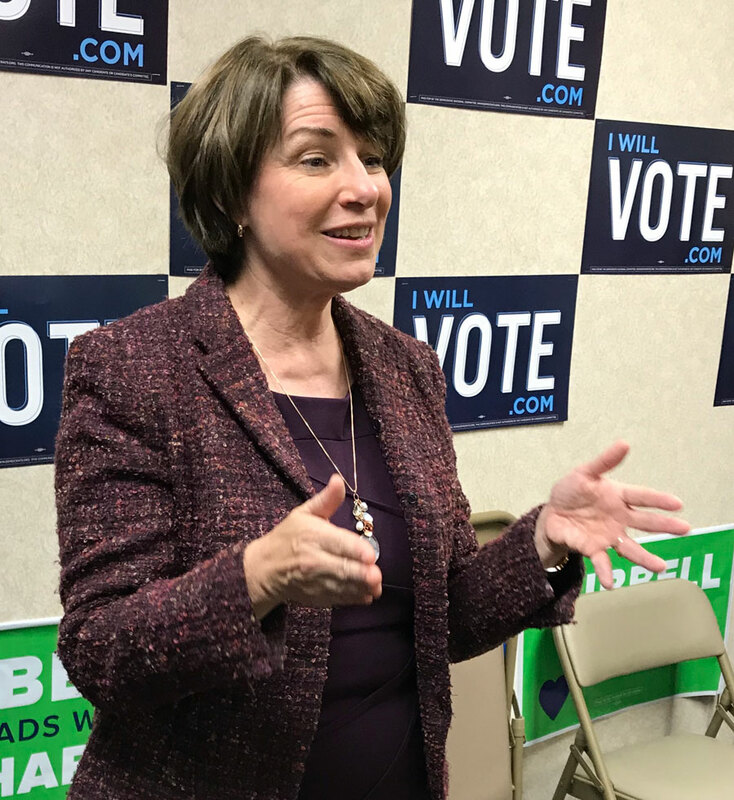 Klobuchar finished her swing through Iowa with a campaign appearance in Mason City with J.D. Scholten. He’s the Democrat challenging Republican Steve King in Iowa’s fourth congressional district.